The removal of work stands in Orbiter Processing Facility -3 (OPF-3) will begin next week, as the former home to Shuttle orbiters is converted into the new processing facility for Boeing’s future crewed spacecraft, CST-100. The conversion is expected to take a year, as the OPF changes call signs to the Commercial Crew and Cargo Processing Facility (C3PF). The start date for the conversion of OPF-3 follows the announcement last October of a 15 year lease deal, agreed between NASA and Space Florida – the State’s aerospace economic development agency. The deal between NASA and Space Florida included the use and modification of OPF-3, the Space Shuttle Main Engine (SSME) Processing Facility and Processing Control Center (PCC). This agreement then allowed Space Florida to lease OPF-3 to the Boeing Company to manufacture and test the company’s Crew Space Transportation (CST-100) spacecraft, creating up to 550 jobs along the Space Coast. In addition to the October announcement, Boeing announced it would be locating its Commercial Crew Program headquarters at the world famous spaceport. Boeing have made good progress through their CCDev-2 (Commercial Crew) contract milestones – worth over $92m – centered around their CST-100 capsule, a vehicle configurable to carry up to seven crew/passengers or an equivalent combination of passengers and pressurized cargo to LEO destinations, including the International Space Station. Based on their early progress via CCDev-2, NASA opted to select the spacecraft as one of their three Commercial Crew integrated Capability (CCiCap) award winners last month, tasking Boeing with 19 milestones for their $460m funding, culminating in an integrated critical design review milestone, along with significant propulsion system, avionics, and wind tunnel development and testing. 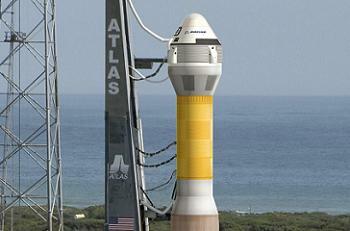 This vehicle will be using a human rated Atlas V launch vehicle, currently set to launch from SLC-41 at Cape Canaveral. NASA estimate that a crewed demonstration flight could occur as early as mid 2016, based on long term funding expectations. With Discovery now retired away from KSC, soon to be followed by Endeavour, only one OPF is in use for the orbiters – OPF-2 with Atlantis, as she prepares for a trip down the road to a new facility at the Visitor Center in the not too distant future. A large amount of work will be required to convert OPF-3 from its role with the Shuttle, with the facility still sporting the giant platforms which were used to surround an orbiter during her processing flow. That removal work will begin on September 10, as OPF-3 transitions to to C3PF. The transition of OPF-3 is the latest step KSC is making to transition from a historically government-only launch complex to a multi-user spaceport. “This exciting project is the result of a first-of-its-kind partnership between NASA, Space Florida, and the commercial space industry and represents a major concrete step towards transforming KSC for the future by enabling commercial space operations,” the notes added. However, two of the OPFs remain without a future customer and only the Space Launch System (SLS) is confirmed as a future user of the pad facilities at Complex 39 – and not until 2017. There is hope Sierra Nevada Corporation (SNC) will be the next company to move into KSC, as they continue to evaluate facilities at the spaceport for their Dream Chaser vehicle, another CCiCAP award winner. 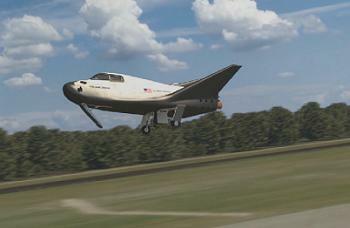 “We’ve been in discussions with the Kennedy Space Center and Space Florida about facilities (at the spaceport),” noted Jim Voss, SNC director of advanced programs and program executive for Dream Chaser to NASASpaceFlight.com. “(However,) an OPF may not be the ideal facility for our vehicle, because they have all the structures that were specific to the shuttle that would have to be removed. 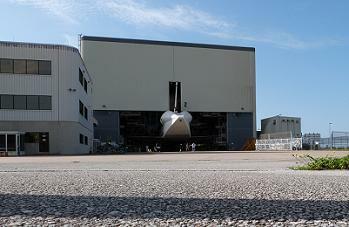 A potential solution for Dream Chaser to take up residency in an OPF could mirror the Space Florida work for CST-100, where the building is converted into a clean floor processing facility, again by removing all the structures that were designed to care for a Shuttle orbiter. 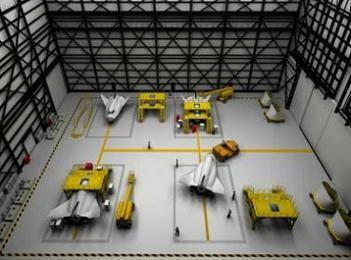 As previously reported, documentation has also shown that KSC’s “wish list” is for all three OPFs to house new vehicles, namely CST-100, as already agreed, Dream Chaser in OPF-2 and the US Air Force’s X-37B in OPF-1. All of these vehicles are currently expected to launch from Cape Canaveral, as opposed to Complex 39 at KSC – with the X-37B already with two missions under its belt. However, official discussions have taken place to potentially open up Complex 39 – and indeed the Vehicle Assembly Building (VAB) – to crewed Atlas V launches. Graphics – available in L2 LINK – show VAB integration and plans to modify one of the Shuttle Mobile Launch Platforms (MLPs) for Atlas V, while ULA noted the main area of discussion relates to the business model for using KSC’s facilities. 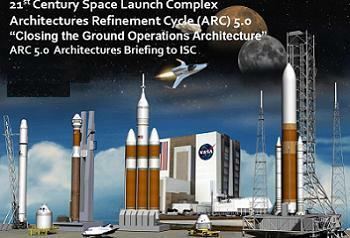 An article on Atlas V at KSC will follow next week.